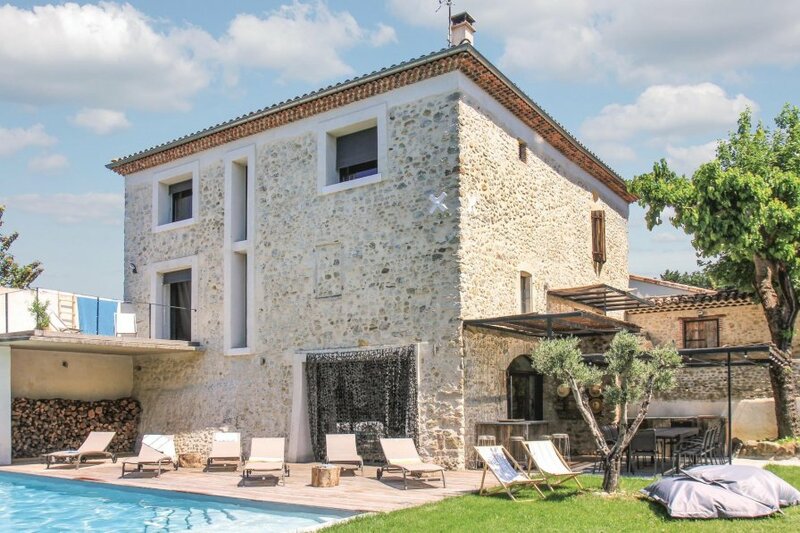 Wellness and relaxation in this beautiful holiday rental, charming and character stone country house with its beautiful heated pool without vis-à-vis. It is located 12km away from Montélimar, in a beautiful park and offers you a large sunny terrace and a summer kitchen with barbecue to spend good moments with family or friends enjoying the beautiful sun of Provence. The interior will seduce you with its original architecture with a Zen atmosphere that invites relaxation. The beautiful height of the ceiling and the brightness contribute to the feeling of well-being which invades you once the door crossed. 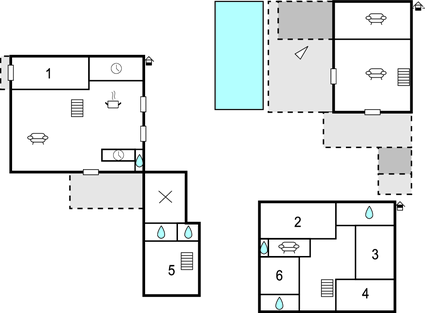 For those who wish to keep a little privacy, the bedroom 5 with its bathroom and separate toilet is separated from the large building by a wooden deck. This splendid holiday home will be the perfect place for an unforgettable stay and the surroundings reserve you very nice discoveries. Montélimar will delight gourmands with its artisanal nougat factories and its candy palace. The Castle of Adhémar is also to see and a little further, golfers can spend beautiful days on the course of Valdaine. Continue to Grignan where you can admire the beautiful Renaissance castle and its unusual miniature Provençal Village. The verdant Val des Nymphes is a lovely bucolic setting for family outings, just like La Garde Adhémar and its castle. Lovers of fine wines will make an interesting stop at Saint-Restitut and its cathedral cellar. The Museum of Truffle and Richerenches Wine will also be an excursion to do. As a family, head for Pierrelatte and its Crocodile Farm or the Parc Aventure de Roussas. And back to this beautiful vacation rental, you will surely want to extend the good times in the pool or around the barbecue. This beautiful modern villa is made from brick or stone and was originally built in 2005 and refurbished in 2017. The agent has rated it as a four star property so it is a well-equipped villa with above average furnishings. It is also great value for money. This villa has a private pool and is located in Saint-Gervais-sur-Roubion, only 12km from Montelimar. It is set in a good location: there is a restaurant only 500 metres away.